In the present study, integrated polymers having gas barrier and water sorption properties were prepared by effectively blending two types of polymers to fabricate membranes for high-performance CO2 separation. 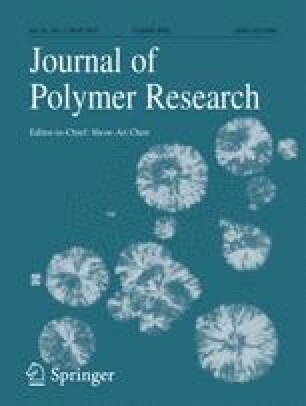 Namely, composite polymers were prepared as a new membrane material by uniformly blending polyvinyl alcohol (PVA), a gas barrier polymer, with sodium polyacrylate (PAANa), a water-absorbing polymer. The optimal PVA/PAANa blending ratio was determined by evaluating the thermal properties of the prepared polymer blend and the CO2 separation performance of the polymer blend membrane. When amine type additives such as polyamidoamine (PAMAM) dendrimer or polyallylamine (PAAm) were added to the prepared PVA/PAANa, the separation performance of the produced separation membrane increased. Applying a carbonate coating onto the PVA/PAANa membranes containing additives further increased the separation performance and selectivity of the membranes. These results demonstrated that the PVA/PAANa membranes prepared in this study, which featured both gas barrier and water absorption properties, could be used as high-performance membrane materials for CO2 separation. This work was supported by Japan Society for the Promotion of Science (JSPS) KAKENHI Grant JP17K00634.